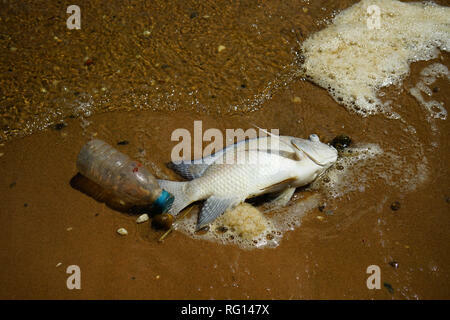 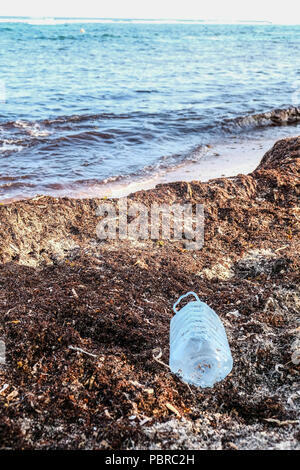 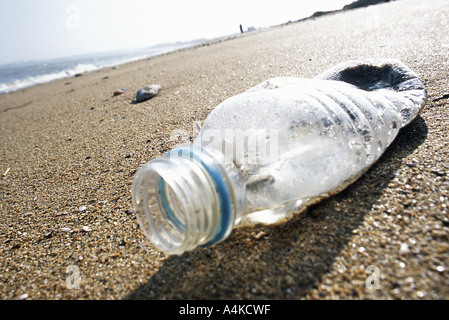 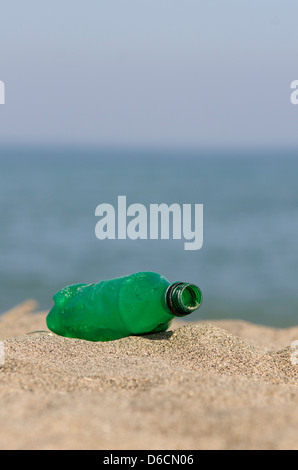 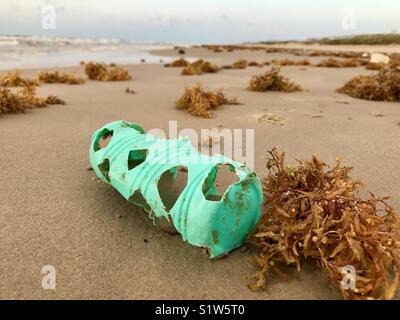 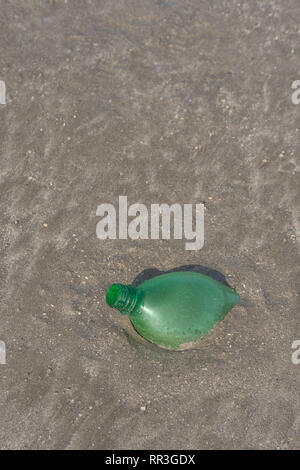 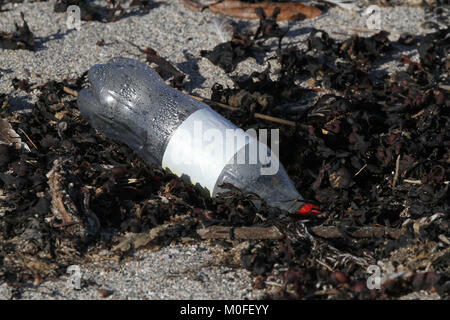 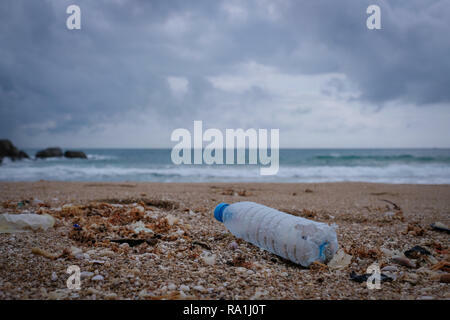 Plastic green bottle on the beach, Spain. 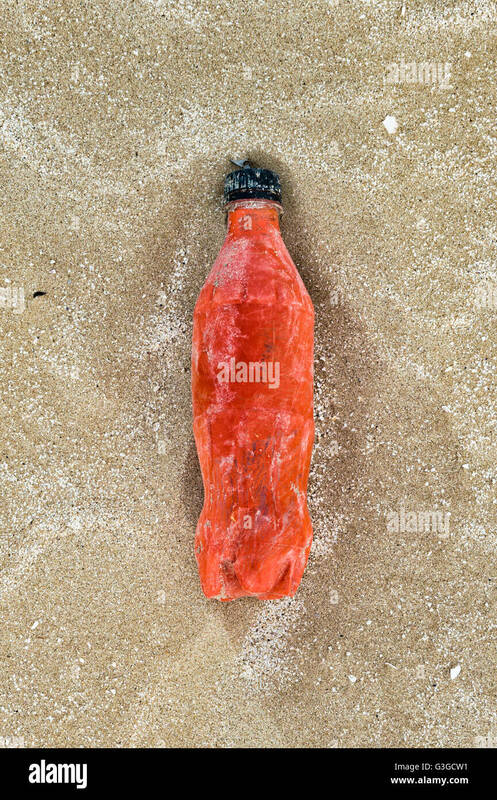 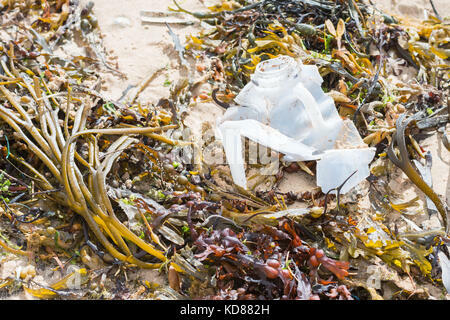 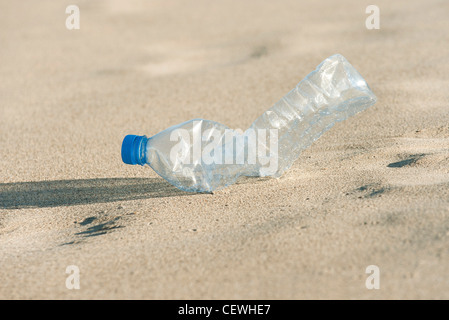 Empty discarded plastic soft drink bottle left embedded in silty sand of a beach. 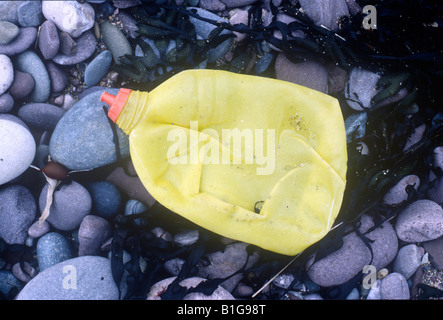 Metaphor plastic pollution, ocean polluting plastic.